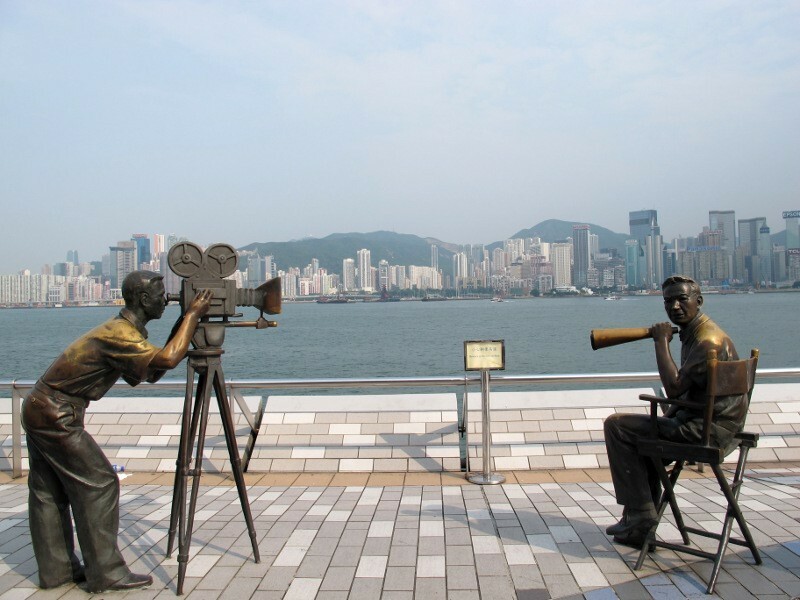 You are here: » Home » City Tour » 6 Places That Must be Visited in Hong Kong! 6 Places That Must be Visited in Hong Kong! Hong Kong popular as a haven for the traveler. A myriad of tourist destinations are ready to accommodate the arrival of travelers from around the world. Here are 6 places that you must visit while in Hong Kong! Hong Kong has all sorts of tourist destinations. Starting from the theme parks, shopping, religious, culinary everything up there. Not only Dubai with Burj Khalifa building (828 meters) and Taipei by Taipei 101 (508 meters), Hong Kong has the International Commerce Centre (ICC), which was ranked fourth tallest building in the world. During the afternoon, starting at 5 pm until 7 pm, 490 meter tall building is getting crowded. 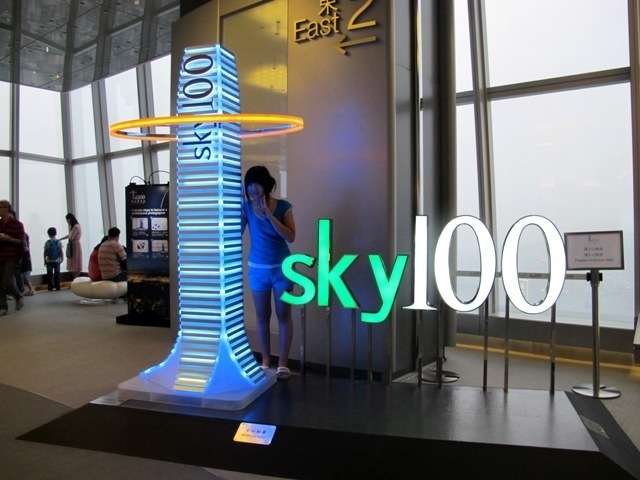 Travelers coming into this building, visit Sky 100, on the 100th floor of this building. As written in the official website of Hong Kong Tourism Board, to enter into Sky 100, visitors only need to pay a ticket for HKD 150 ($ 18) for one adult, HKD 105 ($ 13) for children and the elderly. When you come as a couple could buy a family package for HKD 365 ($ 45), which contains 2 parents and 1 child. The more nights, more and more visitors are seen outside the building. Of course, the twinkling lights visible from the top of the building makes Hong Kong look pretty. In Hong Kong, travelers can also pose with the superstars, you know! 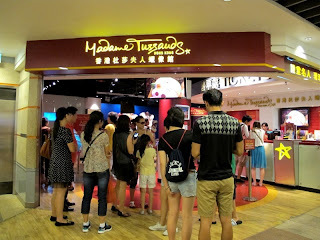 Yeah, you can come to Madame Tussauds located on Victoria Peak. Many are very similar waxwork figures of world renowned, from Hollywood stars such as Angelina Jolie, legendary actor Jackie Chan and Bruce Lee, to hold the number one U.S. President Barack Obama can do it here. Travelers free expression and style with the desired idol. All wax figure has a shape very similar to the original. When visiting this place, do not forget to bring a camera! Avenue of Stars more like the Hollywood Walk of Fame in Hong Kong. Destination located in Salisbury Road, Tsim Sha Tsui, Kowloon, Hong Kong tourists can see the hand stamp and signature of Jackie Chan. Quoting the official website of Avenue of Stars, travelers can meet the legendary actor from Hong Kong, Bruce Lee in this place. Bruce Lee statue stands proudly in the middle of this location. 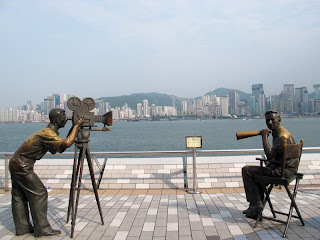 In addition, there are still hand stamp other artists who have a history in the Hong Kong film industry in this place. Not only can you see the stars of Hong Kong, travelers who are on Avenue of Stars could see an amazing panorama on the seafront. During the day, you can see Jukung, boats typical Hong Kong which are found in the sea. When night falls, you can see skyscraper buildings with beautiful shining across the sea. 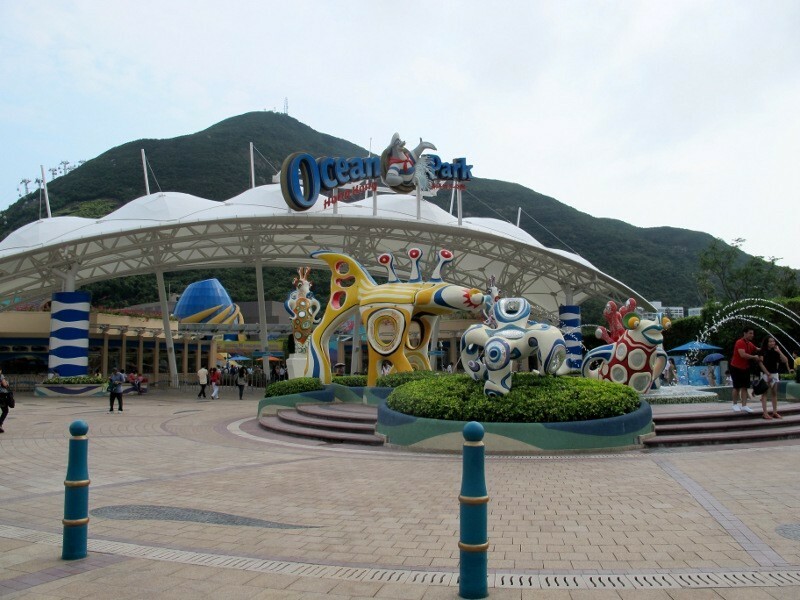 Opened in 1977, Ocean Park Hong Kong became the theme park that invites tourists enter the marine life. Travelers can enjoy a variety of rides games, animal attractions, and a dancing fountain. Amusement park this one has the concept of combining entertainment with animal conservation that could provide education for visitors. Amusement parks in southern Hong Kong has two parts, namely The Waterfront and The Summit. Uniquely, to connect these places tourists can use the Cable Car or the Ocean Express Train. Not only that there are many other atrakasi travelers can enjoy while in Ocean Park, such as the Polar Adventure, Old Hong Kong, Thrill Mountain, and others. Throughout the season, Ocean Park Hong Kong will hold special events, such as during the months of September and October there will be a Halloween Bash, which became the biggest Halloween party in Asia. As well as the various tourist destinations, Hong Kong is also a paradise for the shopaholic. Some place names are often a favorite destination for leisure travelers shopping. 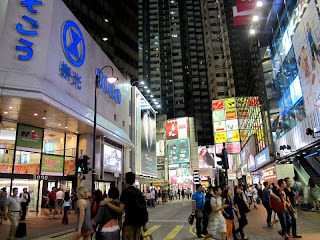 Hong Kong does have a lot of shopping, such as Harbour City Mall, Ladies Market, Causeway Bay, and many more. Starting from the shoes, clothes, accessories, jeans, to a wide variety of other clothing, travelers can get a variety of prices and quality. All of these places you can choose according to budget you have. If you want to get low priced items, you should visit the traditional markets, such as the night market is in the Temple Street Night Market. 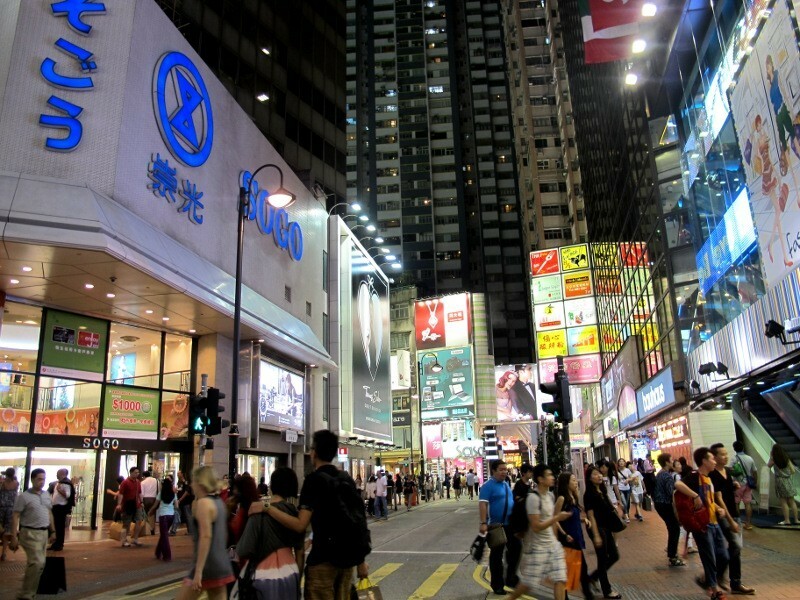 However, if you want to get branded goods you can visit many boutiques are located in every corner of Hong Kong. Want to meet with Mickey Mouse, Minnie Mouse and other Disney family? 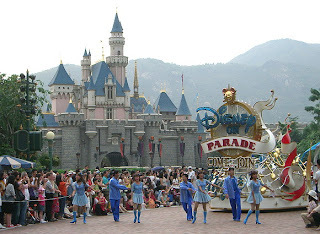 Hong Kong Disneyland is located on Lantau Island which shall enter in your itinerary while in Hong Kong. At the amusement park, the Disney family, such as Winnie the Pooh, Lion King, Toy Story, and many more, ready to entertain the travelers who come to Disneyland. Disneyland always prepare interesting attractions do not be surprised when the amusement park is always crowded visitors. From the official website of Hong Kong Disneyland, lots of fun activities can a traveler do in Hong Kong Disneyland. Travelers can sing and dance along with the Disney characters along Main Street or sailing into a colorful world with cute dolls on board Space Mountain. In addition, there are many other rides that you can enjoy here. Make sure your holiday in Hong Kong will be more vibrant and colorful in the wonders of Hong Kong Disneyland. No more problems deciding which destination you should visit. 6 Destinations may be an alternative that will color your holiday in Hong Kong! Article : 6 Places That Must be Visited in Hong Kong! 0 Respones to "6 Places That Must be Visited in Hong Kong!"